I can't even imagine the adrenaline that must have been pumping through Taylor Stanley's veins during New York City Ballet's performance last night. Minutes before the NYCB soloist jumped in for an injured Gonzalo Garcia in Hallelujah Junction, ballet master in chief Peter Martins promoted him to principal dancer backstage. According to an article in the New York Times, it was a spontaneous decision on Martins' part. Stanley's promotion is effective immediately. Still, this announcement doesn't come as a surprise. Stanley has been garnering attention ever since he joined the company in 2009. He's a favorite of resident choreographer Justin Peck, having danced in every one of his premieres at NYCB (including the lead in February's The Most Incredible Thing). A beautifully lyrical and instinctive mover, he's one of those dancers you simply can't take your eyes off of. We certainly couldn't, which is why we chose him for our August/September cover story last year. Want to get to know NYCB's new principal a little better? Here's a look at Stanley's thoughts on dancing one of his signature roles, George Balanchine's Square Dance. From historic promotions to ballerina retirements to groundbreaking new work, 2015 was an incredible year for ballet. We can't wait to see what the new year has in store, but first let's take a moment to reflect on some of our favorite Pointe stories from the past year. Happy 2016! "My favorite was April/May's 'In Pursuit of Perfection,' by Laura Jacobs. Her essay delves into dancers' driving, unattainable quest for the ideal, and the fractured relationship all artists have with perfection. I think it's something we can all relate to, and it holds a very important message for young dancers. 'Artistry that possesses a flashing life force—daring, reaching, giving—will always contain moments that are not quite correct,' Jacobs writes. '...it's the life we remember: the singing of the self.' "
"I loved the cover and accompanying story for Miami City Ballet soloist Nathalia Arja. At her photo shoot, I was blown away by Arja's infectious energy and the pure joy in her dancing. (Yes, she really is as genuine as she seems!) When I read the cover story, I became even more excited about her. I was inspired by her courage to move from her mother's dance school in Brazil to Miami, where not only the language but the Balanchine style was completely foreign to her. Now, Arja seems at home in Balanchine works, and her success is even more thrilling because of her perseverance." "When I saw Justin Peck's new Rodeo: Four Dance Episodes at New York City Ballet in early 2015, I was mesmerized by Taylor Stanley, and his performance stuck with me throughout the year. 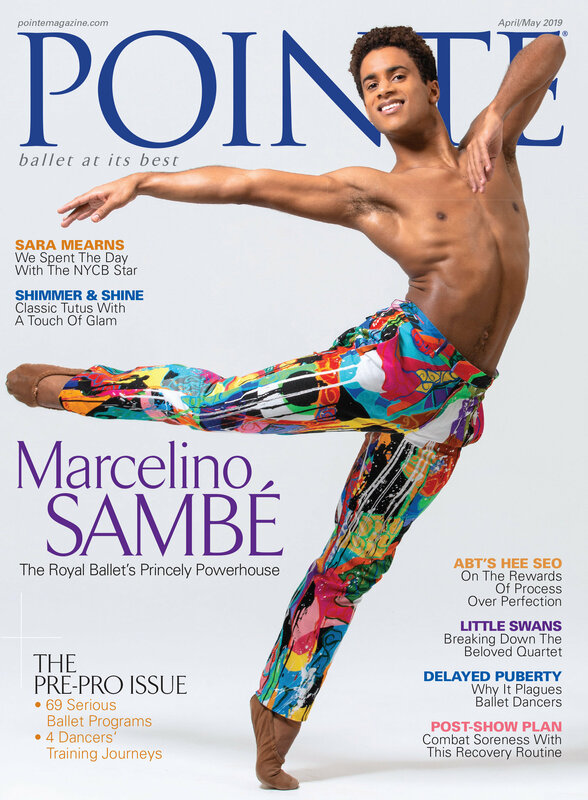 So it's not surprising that one of my favorite stories was our cover and feature on Stanley's journey at NYCB. I loved reading about his ability to be both a great partner and a true individual onstage—and how this has made him an inspiration to Peck and other choreographers." " 'From Studio to Stage,' the Joffrey Ballet photo essay of Christopher Wheeldon rehearsing his Swan Lake with the company, from the February/March issue. Photographer Quinn Wharton captures the sweat and the glamour and conveys a sense of intimacy with the photographs." "In 'Ballet's Not Dead.' Allan Ulrich argues exactly that (definitive period included). I agree! When I look towards all the exciting projects in store for 2016—from digital stages to diversity initiatives, large-scale story ballets to collaborative side projects—I think our beloved art form is taking off anew.